For one who explains this supreme secret to the devotees, pure devotional service is guaranteed, and at the end he will come back to Me. 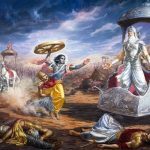 Generally it is advised that Bhagavad-gita be discussed amongst the devotees only, for those who are not devotees will understand neither Krishna nor Bhagavad-gita. 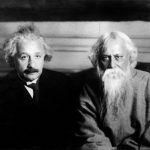 Those who do not accept Krishna as He is and Bhagavad-gita as it is should not try to explain Bhagavad-gita whimsically and become offenders. 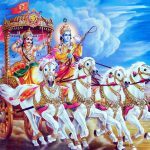 Bhagavad-gita should be explained to persons who are ready to accept Krishna as the Supreme Personality of Godhead. It is a subject matter for the devotees only and not for philosophical speculators. 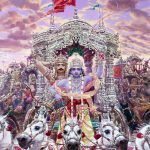 Anyone, however, who tries sincerely to present Bhagavad-gita as it is will advance in devotional activities and reach the pure devotional state of life. As a result of such pure devotion, he is sure to go back home, back to Godhead. This verse and the next state the results of giving instructions of bhakti. The instructor first attains parama bhakti (param bhaktim) and then the Lord himself (mam eva esyati). 18.69 There never exists nor has existed anyone other than such a person as described, who does greater service to Me than he. In the future too, there will not be another such. 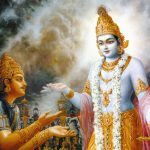 The first reference is to those who are not worthy to hear the Gita. It is meant to teach that explaining it to them is more displeasing to the Lord than not teaching to those who are worthy. yaḥ — anyone who; idam — this; paramam — most; guhyam — conﬁdential secret; mat — of Mine; bhakteṣu — amongst devotees; abhidhāsyati — explains; bhaktim — devotional service; mayi — unto Me; parām — transcendental; kṛtvā — doing; mām — unto Me; eva — certainly; eṣyati — comes; asaḿśayaḥ — without doubt.